That sounds like an enormous amount of data, but 4K video could eat that up quickly. If you’ve begun limiting your Netflix viewing because your home is one of the minority of users laboring under a Comcast data cap, good news: Comcast said late Tuesday that it has raised the cap to a terabyte’s worth of data per month. The bad news? You can’t help but think that Comcast will soon be extending data caps nationwide. 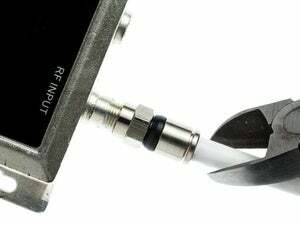 In a blog post, Comcast said that the company had “experimented with offers, listened to feedback, and learned a lot.” In 2012, Comcast ditched its 250GB/mo data cap. Since then, though, it launched trials in Florida and elsewhere imposing a 300GB/mo cap—then charged $30 per month extra to eliminate it. Raising the cap, Comcast said, was in response to customer demand. A terabyte is good, right? Most customers consume 60GB of data per month, Comcast said. What Comcast called “super users,” who go beyond that limit, can still download 700 hours of HD video per month or 60,000 high-res photos That amount will drop considerably if 4K video is factored in, to about 143 hours at 7GB/hour, as measured by CordCuttersNews. (That’s about 4.7 hours of 4K video per day, by CCN’s bandwidth estimates.) If you're a Comcast customer, you can check your data usage on its Web site. But god help you if you go beyond that limit: Comcast will charge you an additional $50 per month for unlimited data, or a $10 charge for each additional 50GB chunk of data. Comcast wouldn’t confirm whether it will extend the terabyte data cap nationwide. Its blog post implies that those caps are coming, however. “We’re currently evaluating our plans to roll this out in other markets, we’ll keep listening—and we’ll be open to making further changes in the future to deliver the best high-speed data service to our customers,” Jenckes wrote. If Comcast does impose a nationwide data cap, however, it would potentially be at odds with the conditions imposed by the FCC on Charter’s $55 billion acquisition of Time Warner Cable and Bright House Networks, which contains a key provision: Charter is forbidden to impose data caps for seven years. Neil Smit, the president and chief executive officer of Comcast Cable, declined to comment directly. Smit did imply, though, that he expects your cable bill to continue rising. “I think there’s pricing opportunity going forward as we continue to add value,” Smit said. 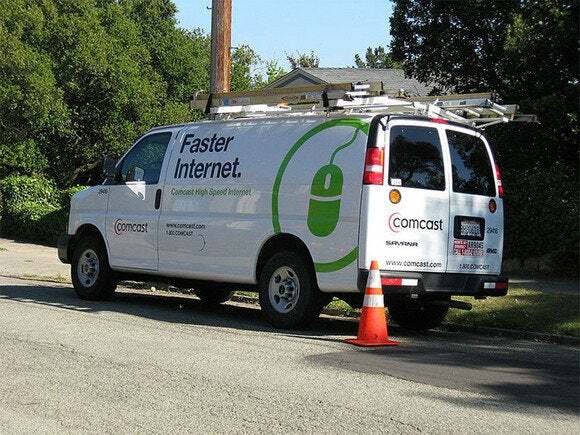 Comcast reported first-quarter earnings on Wednesday, and the company’s financials reveal just how critical high-speed Internet services are for the company. Comcast’s Cable Communications business contributed $12.2 billion, or 65 percent of the $18.8 billion the company recorded for the quarter. Of that amount, $3.3 billion—or 18 percent overall—flows directly from broadband subscriptions. For some perspective, consider that all of NBCUniversal—including NBC, the Universal Studios film studio, and its related theme parks, totaled $6.2 billion in revenue. “High-speed Internet continues to be the largest contributor to overall cable revenue growth,” Michael Cavanagh, the company’s chief financial officer, told investors. Comcast said it is also working hard to ensure that its customers have access to high-speed broadband. Currently, 77 percent of Comcast's residential customers receive speeds of 50Mbps or greater, the company said. Smit also told analysts that the company continues to “monitor” 5G, which competitors like Verizon see as a last-mile, fixed antenna alternative to cable broadband.